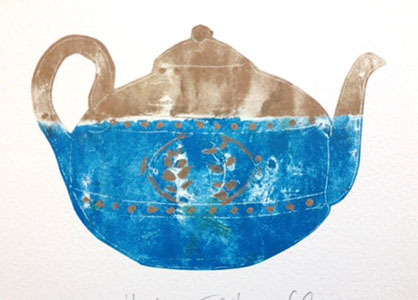 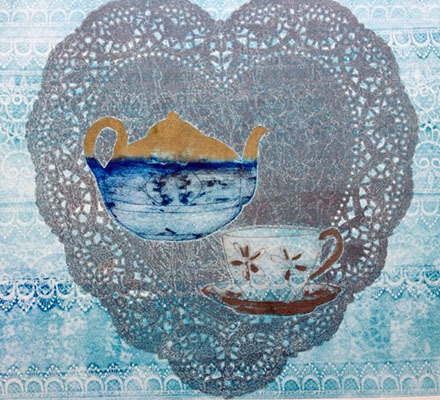 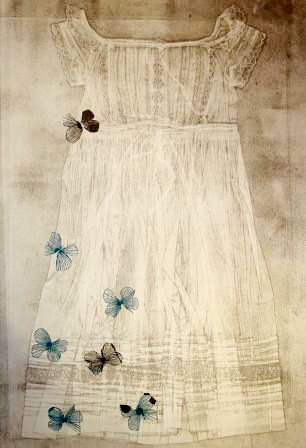 I trained as a decorative textile artist and have become addicted to printmaking. 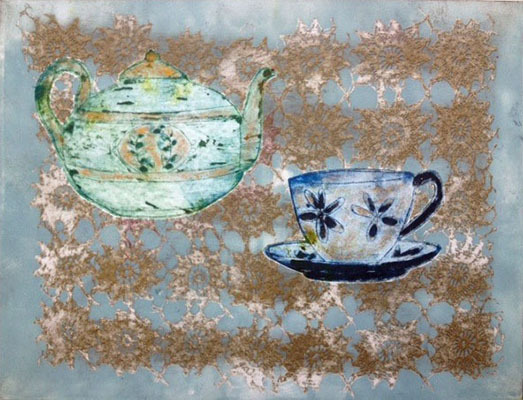 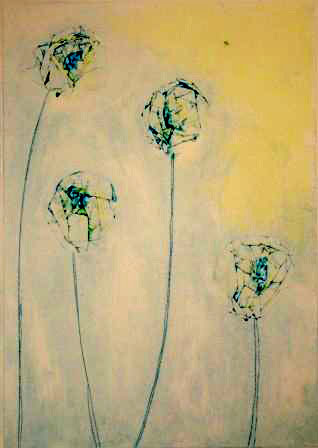 I am inspired by textured surfaces and patterns, including lace and fabrics and floral imagery. 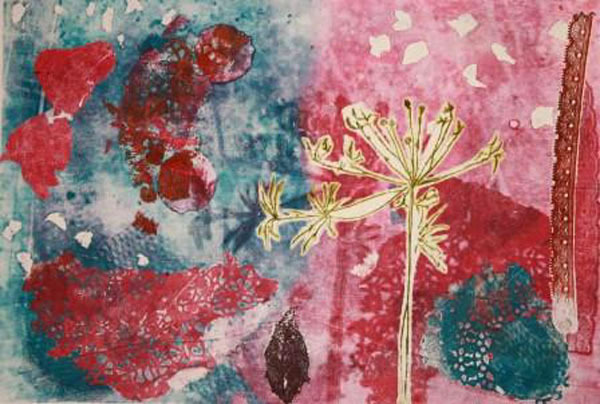 I build up textures with delicate layers of colour and pattern to create depth and atmosphere in my pieces. 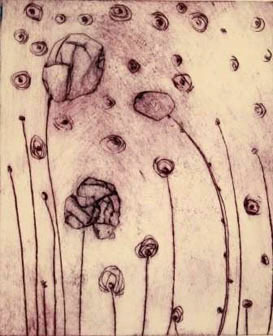 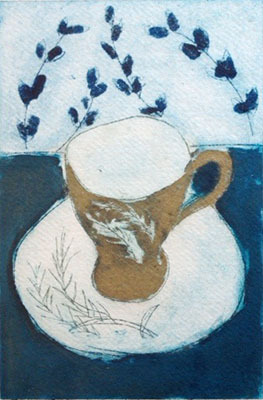 I work mainly using monoprinting and monotypes, collagraphs and drypoint. 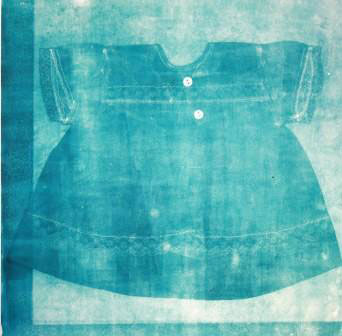 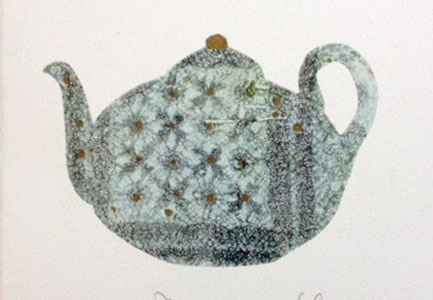 In 2010, I gained a Certificate in Advanced Printmaking Techniques at the Curwen Print Study Centre.